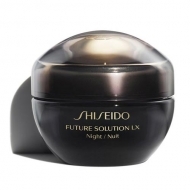 Moisturizes the skin, helping to prevent dryness and tension. 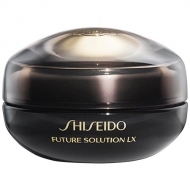 DESCRIPTION: Future Solution LX Replen Treatment Oil from Shiseido is an especially luxurious silky oil which melts instantly in the skin to provide intense nutritional benefits, strengthen and provide a soft glow. This multifunctional oil can be used on face, body, hands and hair, wrapping it in its relaxing fragrance for a sublime experience of skin care. 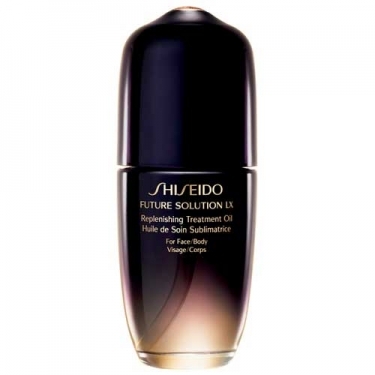 It contains five premium oils: evening primrose oil, safflower oil, argan oil, jojoba oil and macadamia oil. After his daily care, press the dispenser once, heat that amount of oil in your hand and apply it with your palms across the face.